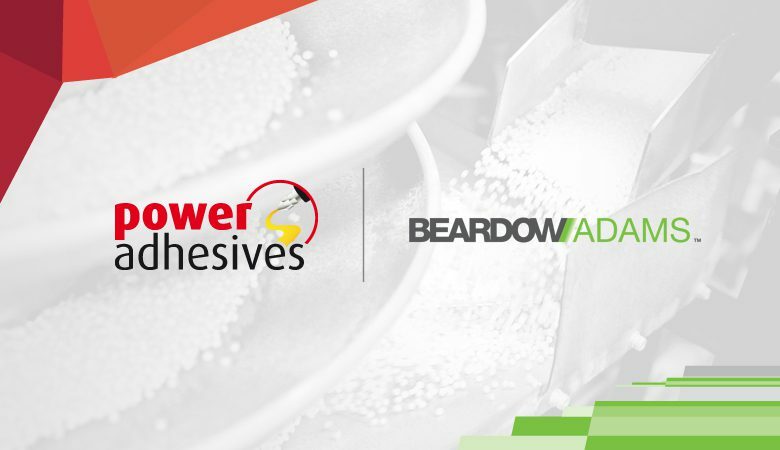 Power Adhesives provides next day deliveries in the UK for the most popular Beardow Adams bulk adhesives. These include hot melt glues, water based and solvent based systems for packaging, labelling, wood-working, book binding and product assembly applications. We also stock a range of Beardow Adams hot melt cleaning agents. Comprehensive stocks and an experienced technical support team mean that even the smallest users get the very best service and support they require. The hot melt adhesives on offer are based on Metallocene, EVA, APAO and polyamide chemistry, and are available in bulk pellets (pastilles, prills and slats), small EcoMini pillows, larger EcoBlock pillows and silicone block. BAMFutura packaging hot melts lead the market with outstanding adhesive performance and thermal stability, not only ensuring reliable high speed line operation but also reducing downtime and maintenance costs. BAMFutura labelling adhesives are suitable for high and low speed reel/magazine fed machines. They can be used on cold wet bottles, PET bottles (with expansion), hot jars, cans and heat shrink plastic labelling. BAMFutura wood working hot melts are available for edge banding, soft-forming, profile wrapping, V-grooving, pre-coating, edge sealing and Veneer splicing. Prodas hot melts are available for many product assembly applications including automotive trim, sound proofing and seat manufacture, mattress manufacture, HVAC insulation applications, non-woven bonding and filter manufacture. Pressen full pressure sensitive (PS) hot melts are available for self-adhesive coatings, tapes, art panels, bag and envelope closures and insect trap adhesive. The range also includes dry peel adhesives for layered labels and other peelable applications. We also stock the range of BAMClean hot melt cleaners for cleaning tanks and hoses, various grades are available from routine preventive cleaning to heavy duty intensive hot melt tank cleaning. Europanol water based adhesives include PVA and VAE emulsions for packaging, converting and woodworking. These adhesives are used for a wide range of paper board applications including straight line gluing and glue lap for solid board cartons and corrugated cases. Koltac solvented sprayable adhesives are available in liquid and aerosol formats. The Koltac range is made up of non-flam contact adhesives for foam bonding, automotive, insulation, furniture & upholstery and bedding applications.